In order to make WordCamp as affordable as possible for the community, the maximum ticket price for WordCamps is set at the local equivalent of US$20 per day. This has been the case for many years and it has been very effective at making sure that WordCamps remain accessible to the broader WordPress community. Extremely affordable tickets allow everyone in your community to attend WordCamp, lowering the barrier to entry for attendance as much as humanly possible. This helps build your community, as people who might not be able to afford higher ticket prices can join in and share their experiences with WordPress. A large community with diverse perspectives is good for local events and activities. This maximum WordCamp ticket price has been static for over 7 years, so perhaps the time has come to revisit it. Inflation is pushing prices up globally and we’re finding that more and more WordCamps are struggling to hit their financial targets. If it’s agreed that the maximum ticket price should go up it doesn’t mean WordCamps have to raise their prices locally, if they don’t want to or don’t need to. We always have (and will continue to) actively encourage organisers to set their prices as low as possible and to only go for the maximum price if they absolutely have to do so. So, the question is – do you think the maximum WordCamp ticket price should change? And if you think it should go up, what should the new maximum be? Please comment here with your thoughts about this and, once we have a decision either way, we can move forward from there. Nothing against the €20-rule. Between €30 and €40 a day is also fine for me; if the organization team has trust in getting enough sponsors. Not a fan in counting per day, play with that: €40 for 1 day; €60 for 2 days for example. Cause attendees attending more days means more cost for the visitor; so price/day is not that fair. But I wouldn’t ever raise prices in terms of Drupal Conf-prices. Yes, i understand. That’s what i’ve meant too. I agree that organizers should always try to keep ticket prices as low as they can. If increasing the ticket price would affect positively to the quantity and/or quality of the food offered at the events I’m all for it! Maybe the more flexible pricing could open some possibilities for the organizers to distribute the money? If the current max is 20€ maybe the new could be something between 30€ and 40€ as Dave above suggested. When you say “distribute the money”, what do you mean exactly? I mean that the organizers could decide with more flexibility on what they want to put the money into. With more money from the sold tickets the basics would be covered more easily and the rest could be directed to something the organizing team thinks needs more funding. It might be food or paying the speakers for example. Just to clarify here that this isn’t entirely true. Every WordCamp budget is reviewed by WordCamp Central and costs are approved by the Central team. The organising team definitely gets to choose what they spend their money, provided it fits within the general WordCamp guidelines and is approved centrally. In reality this does give a lot of freedom to the organising team, as expenses are only rejected if they are much too high or are not something that we would ever spend WordCamp money on. The reality in at least Finnish WordCamps has been that ticket cost won’t cover all the costs by a visitor (food, ticket etc). This leads in situation where every new attendee will be a cost in budget and thus limits the amount of attendees. Of course sponsors are always needed for various things but covering part of the food of attendees is current reality. This may force organizers to calculate how many attendees they can afford that may not be aligned with how many would want to buy ticket. So higher cost for ticket can also make it possible to have more attendees. The 30-40€ range might solve the issue here in northern Europe as with those prices the attendees could be very close to “self-sufficient” and sponsor contributions could go more directly to venue/afterparty etc. If I understood @hlashbrooke proposal right an increase would give organizers the freedom to go beyond the current maximum ($20). Organiziers always had the freedom to go lower. The actual ticket price is still a decision of the local organizers. As this is a ‘hard rule’ as in not to exceed the amount, I would be ok to raise the price to $40 to $50 per day. I don’t see any downside to raise the max price limit, only upsides! I suspect that in most communities, a majority of attendees will be able to afford the increased price, so I’d love to see more prominent scholarship/discount ticketing options included with any price increase. That way, organizers likely would raise more money but also put even greater focus on the inclusivity of the event and money not being a factor that prevents people from attending. A moderate increase like that makes sense for sure. Scholarships and discounts are very much at the discretion of the local organising teams, so that is something that all WordCamps can do already. It’s just a matter of the team deciding to make it happen. Another +1 for Mark’s thoughts. Very mixed feelings on this. I love WordCamps being “trivially inexpensive” for attendees. I’d like to see camps raise more in sponsorship and lower ticket prices, but understand that is challenging without unwelcome additional benefits like sponsored talks. Still, I’ve advocated for a long time to give more control back to organizers. Extravagant camps and shoe-string camps can and should co-exist. I really don’t see this as the biggest issue though, some form of speaker compensation/per diem is needed. I don’t like typing issues together or I’d suggest that here. Each should get it’s own determination. It seems like inflation only accounts for about a $5 difference between now and 2006. I don’t see any problem raising the max cost to $25 to account for that. Beyond that, though, I’m curious why camps are having more trouble today than they were 5 or even 10 years ago? Is it harder to get sponsorships? It seems like the opposite is true, especially given how much the global sponsorship program covers. Based on experiences in my local community, I suspect that the primary reason for budget shortfalls is that the organizing team is choosing to do extra things, beyond what’s necessary to meet the goals of a WordCamp. For example, holding after-parties at trendy venues, expensive speaker gifts, professional A/V (which I’ve advocated for in the past, but not at the cost of higher ticket prices), etc. I don’t think that scholarships are a good solution to offset an increase in ticket prices, because most cultures have a social stigma associated with earning a lower-than-average income. Ask yourself how you would feel if you were in that position, and knew that the same people you talk to at meetups, network with, etc, would be processing your application? Keeping the ticket prices affordable in the first place allows people to avoid a potentially embarrassing interaction with others in their community, who really have no business knowing how much they make. If I’m correct that the primary driver is the choices we’re making as organizers, then I’d rather just see us do things like choose venues that aren’t fancy, ask attendees to pay for their own food/drinks at the after party, print our own signs DIY-style at Kinkos instead of paying a print company to do fancy signs, etc. I think it’s important to remember that WordCamps are supposed to casual, volunteer-organized events and not professional conferences that impress others. Sounds quite familiar. Personally, I like the idea of speaker gifts because WordCamps do not pay for speakers – dinner or small usable gift is something nice to show gratitude. But those do not need to be expensive or expected neither. It should be those nice-to-have things if budget allows. One thing that I really speak against is making an event t-shirt. It costs, most of the attendees go to multiple WordCamps and gathers a great pile of shirts. But that’s a different discussion. I don’t think that scholarships are a good solution to offset an increase in ticket prices, because most cultures have a social stigma associated with earning a lower-than-average income. […] Keeping the ticket prices affordable in the first place allows people to avoid a potentially embarrassing interaction with others in their community, who really have no business knowing how much they make. Huge +1 for this comment! +1 But same time we need to remember that as some WordCamps tend to grow, and organizing takes much more time. It is just reasonable for volunteer-based organizers to outsource some tasks even if it pays a bit of extra. Let’s say cloakroom for example – is it wise usage of volunteer time to affix one volunteer to sit there all day? Why not pay for venue handling the cloakroom if it doesn’t cost too much? It seems like inflation only accounts for about a $5 difference between now and 2006. Euro has inflated about 4€ in general, in some countries like Finland and Italy the inflation has been a bit more – roughly 5€. But for example, Indian Rupees has inflated a whole lot more – roughly $30. I’m with you @iandunn… problem is that many of us are seeing main events like WordCamp Europe as THE way to do events. All good points Ian – thanks! We definitely mustn’t lose sight of the casual and volunteer-driven elements that make WordCamps special. Ultimately all ticket prices will be reviewed and approved in the WordCamp budget review before any tickets are sold, so no matter what the maximum allowed price is, it will still be set appropriately for each camp based on need and in relation to costs in the city. That being said, if we set a maximum price too high, it can encourage people to charge more than is realistic for their tickets, so keeping the actual inflation stats in mind is very useful. I don’t think that scholarships are a good solution to offset an increase in ticket prices, because most cultures have a social stigma associated with earning a lower-than-average income. This is a great point, Ian. Thanks. While I think an increase of US$5 is okay, I’m also curious about this. I’m curious why camps are having more trouble today than they were 5 or even 10 years ago? Is it harder to get sponsorships? It seems like the opposite is true, especially given how much the global sponsorship program covers. Would it be possible for us (or even a small group of people?) to review the budget sheet of WCs that had a hard time keeping the ticket price low? As to our Tokyo event, we have been slowly increasing the ticket price (used to be free w/o lunch or T-shirt, last year the general admission was about $9. This year, we increased it to $18 but included after party in the price for everyone). I think it has been a good progression – we have fewer no-shows, are able to provide lunch to speakers/staff & speakers’ dinner, and attendees don’t have to pay any additional fee for after party. Generally, attendees and staff are happy with the pricing. I agree we really should stay away from making the event super fancy. But since speakers and volunteer staff work hard to make the event great, having the budget to cover some of their costs makes me feel better. Is it harder to get sponsorships? Anecdotally, I can report that some sponsors are feeling spread thin. Some of them perceive a higher growth rate of WordCamps than of ensuing commercial opportunities. +1 for a small increase in max price per attendee. I think something between 25$ and 30$ would be a good – ticket prices would still be fairly cheap and affordable. I’d also love to see more micro-sponsor tickets sold, which covers the (most of) costs of your personal attendance. It is a way more better way to have kind of a “scholarship” than selling or granting scholarship tickets directly. One micro-sponsor ticket sold makes it possible to keep ticket prices a bit lower and sell at least one or two regular tickets more than WordCamp could otherwise sell. +1 for a small increase. The UK has seen inflation averaged 3.1% a year turning our £20 from 7 years ago, into £25.50 today. I would be of the opinion that a $5-$10 increase in the cap would be sensible. The ticket price is, in my opinion, a tool to have a kind of higher commitment by the attendees. It seems that 20 € is enough to lower the no-show rate significantly. It probably depends also on the city but I would like to promote much more micro-sponsoring or the option to buy a “true cost” ticket (I remember that I saw that on the website for WordCamp London). I think raising the price $5.00 (as others have pointed out it’s essentially keeping pace with inflation since 2006) is a good idea. For most of my life I’ve worked with non-profits. I think keeping pace with inflation is a good thing. I’ve seen what can happen to an organization when increases are put off and then a large jump results. Usually, in the that situation, the event has been cutting corners and now people are upset a big jump in price. So I think it’s important to increase to keep pace while we are only talking $5.00. I don’t think $5.00 will deter a huge portion of our attendees especially since in that price is included their lunch, coffee, and after party. I agree with Inflation point mentioned above, we must continue with global Inflation. As Far Indian Camps Concerned, No WordCamps has gone above $15 yet maintaining the cost of Camp excluding AfterParty. +1 to the initiative of increasing the “maximum” possible to 30 USD/person/day. And just a reminder, this is for the maximum, we’ll keep encouraging all WordCamp organizers to set the ticket price as more affordable as the budget will permit it. Agree with $30 or $40 per day, still good price for a tech conference, also a chance to do or add workshops for this price and have a better number on the budget for swags, materials, food or even venue. I agree with many of the reasons above so I won’t repeat them here. I do appreciates the thoughts @iandunn outlined and believe we should be mindful of them. I would like to see the maximum price per day increased by 5 USD to 25 USD per day. In other countries and currencies we should adjust as we do not, not just on the exchange rate for the currency, but based on what is affordable. I do think we have to make a change now so that there is not a shock if we are ever forced to increase later, but I think it should be a small increase and make it clear that just because the maximum is 25 USD per day, we don’t have to charge that. My reasoning ties back to one that I ask Organizers when doing budget reviews. On the expenses, I ask if the spending is a responsible use of the funds and does it benefit the attendees. This was on our original budget spreadsheets and is a great way to look at spending. For the ticket price I think we need to ask – Is this a reasonable and inclusive price? Will we be excluding folks from attending with a price of 25 USD (or 50 USD for a two day camp)? If we would be, then at budget review the price can be set accordingly. The price may vary from Camp to Camp, but it should always refelect what that community can afford. I agree that a 5 USD per day increase is reasonable. A $50 ticket vs. $40 ticket isn’t that much of a jump, and it will give organizing teams that struggle to find enough funding the ability to keep the lights on. To @iandunn ‘s point, it seems like a larger conversation about budgetary priorities would be of value. Perhaps some sort of checklist that breaks down camp expenses into categories like “must have,” “nice to have,” and “only if you have the extra budget.” When we see camps like WCEU/WCUS doing their camps in fancy conference centers, with professionally printed materials, and A/V companies producing the videos, it’s not hard to see why camps may think they need these things and as a result struggle with their budget. Disclaimer: I don’t see issue with any of these things, as long as the budget covers them. While the ticket cost maximum could and should increase to account for inflation, I definitely think that as WordCamp organizers, we occasionally need a reminder that these events aren’t about putting on a fancy conference. 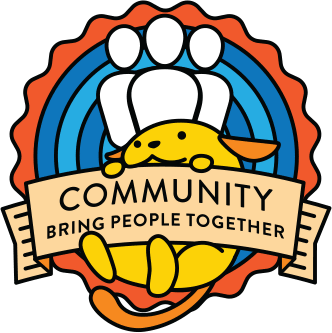 WordCamps are supposed to be events that bring our local communities together to celebrate, learn, and connect. At the end of the day, if you accomplished those things, your camp did a great job. WordCamps should never be about the “stuff,” they should always be about the people. As the current lead of a local camp that has a history of being a big camp, I agree that a $5/day increase would suffice. I can easily see bigger camps wanting more, but in actuality, I think this is a safe start. That increase makes a significant difference in the budget. I’d like to see the maximum increase to $30/day/attendee for growing room for the next 5-7 years as opposed to bumping $5/day/attendee and having to revisit again in the next 20-40 months. Target max and recommend max need not change from $15-25. Camps can offer early-bird $40 tickets and procrastinators $60 to incentivize sales. Sometimes affordable/preferred venues are booked. Most would likely prefer a mildly increased cost than no event at all or worse pushing an event into a barely-workable space. $20/day goes much farther in affordable, often rural locations than it does in global urban centers. It appears expensive cities have had to get creative to make ends meet and present similar quality to others. While I appreciate @iandunn‘s point about potential embarrassment and privacy concerns about having a scholarship tier, it’s common for students to receive discounted pricing for services and professional events. $40 and $50 are still too much for many working students/teachers — it was for me a few years ago, and now that my circumstances are different, I’d gladly pay $60-75 to help subsidize the event for folks in that position. Simply opting for a blanket, median price for all encourages silent disqualification. Student/teacher pricing gives them a seat at the table without the embarrassment of asking for a discount because they can’t afford the median. The low price often translates to a late rush on tickets. This can put huge demands on volunteer’s time right before the event where early-bird pricing could help spread time demands more evenly, reduce organizer stress and afford them appropriate time to prepare the event to the best of their ability. If we talk about financing WordCamps we should talk about tackling sponsors. What they get for their money and how to deal with an increasing number of events while budgets are limited. I wouldn’t be opposed to a max price increase. I feel like $20/day is so much lower than other conferences that there’s quite a bit of room to move and still be extremely affordable for most everybody. And it would give organizing teams the option to raise their ticket prices if they feel the need in order to offer a better experience, or keep them the same.